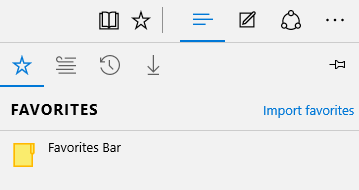 The all new Microsoft Edge web browser is now the default web browser in Windows 10 (if you choose to accept all the defaults during initial setup after in-place upgrade or clean installation). 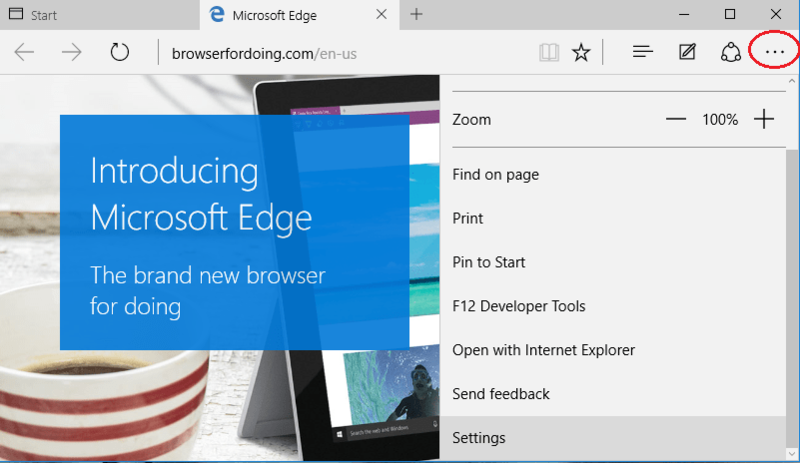 The Edge browser is the ultimate replacement for the aging Internet Explorer (IE), and is much faster, lightweight, stylish, and has a clean user interface. However, Edge won’t automatically import your favorites or bookmarks from Internet Explorer (IE), which was the default web browser in previous versions of Windows from Microsoft, even if you upgrade from Windows 7 or Windows 8.1 to Windows 10. This is because Edge no longer shares the same storage location for Favorites with IE. 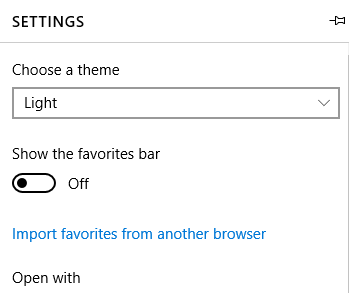 In fact, Edge won’t prompt any dialog or notification to ask you to import your bookmarks or favorites from any other browsers. 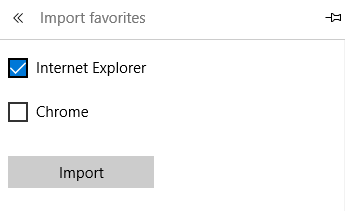 So, in order to bring back the Favorites of IE into Edge, or to import bookmarks from other web browsers, you have to manually start the import process. Follow the tutorial below to import your bookmarks or favorites into Edge browser. Click or tap on the Ellipsis (…) button on the top right corner to display the menu. Tap or click on Import favorites from another browser link. Choose the web browsers which contain Favorites or Bookmarks that you want to import into Edge, and the click or tap on Import button. Once the import is done, you can access the imported Favorites or Bookmarks by opening the Hub menu and go to Favorites (Star) tab. As you can see from figure above, you can also initiate the Import Favorites process by clicking or tapping on Import favorites link in the Favorites Hub itself, where you’re brought to select the browsers to import from directly.